I've always loved featuring new brands on the blog so when the beautiful Jen contacted me to review her line of frankens, I simply could not resist her cute star shaped bottles. 3-free and entirely home made polishes, using suspension base as well as a wide variety of solvent resistant glitters, micas & pigments, Jen also offers custom blends if you have a specific mix in mind! Sticks n' Stones. Mix of different sizes of matte black and white, hex, square and bar glitter in a clear base infused with a subtle silver shimmer. 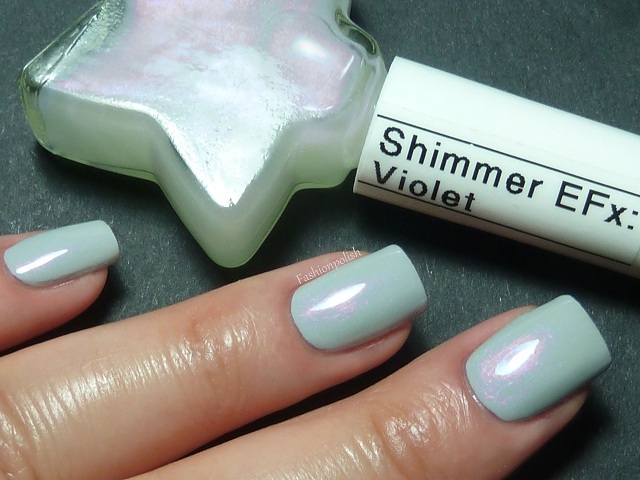 This polish looks amazing of pretty much everything! I am wearing one coat over RBL Bella here. 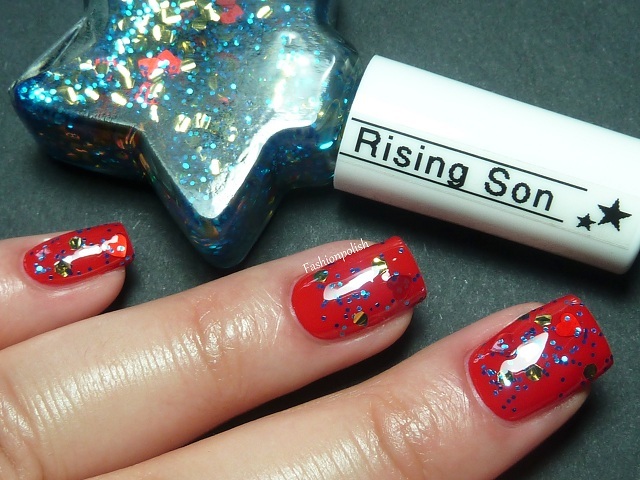 Rising Son. Small blue hex glitter mixed with medium "taco" gold and red heart shaped glitter in a clear base. I decided to wear it over red (China Glaze Hey Sailor) to contrast with the overall blue. I really love how "unexpected" the hearts look in this. I had to do a little glitter "fishing" for the hearts but it wasn't that bad. One coat plus topcoat here. White Out. 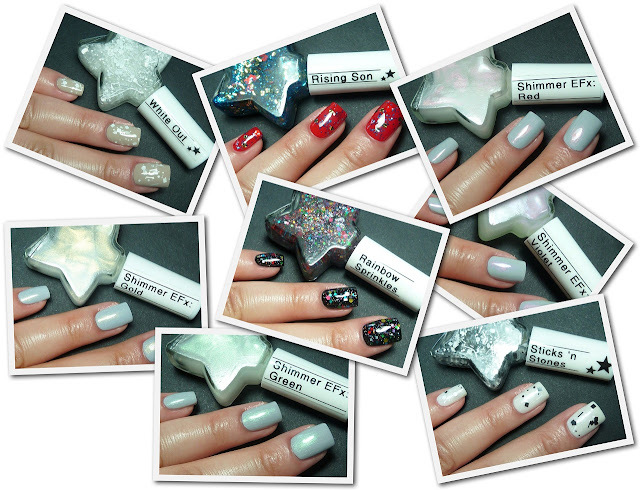 Complex mix of different sizes of matte white, hex, square and bar glitter in a clear base. 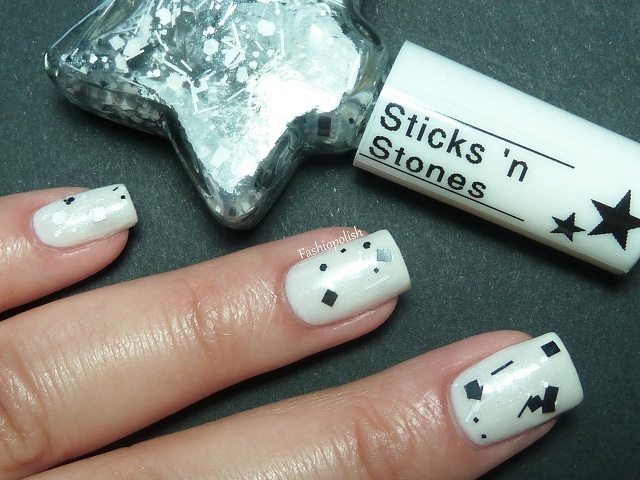 This is pretty much an "all white" version of Stick n' Stones minus the silver shimmer. It's a very pretty and delicate glitter. I chose to wear it over OPI Did you 'ear about Van Gogh. Rainbow Sprinkles. I don't think I could exhaustively describe the glitter blend here. It seems to be a mix of different sizes of matte round, hex and square glitter in every color of the rainbow. 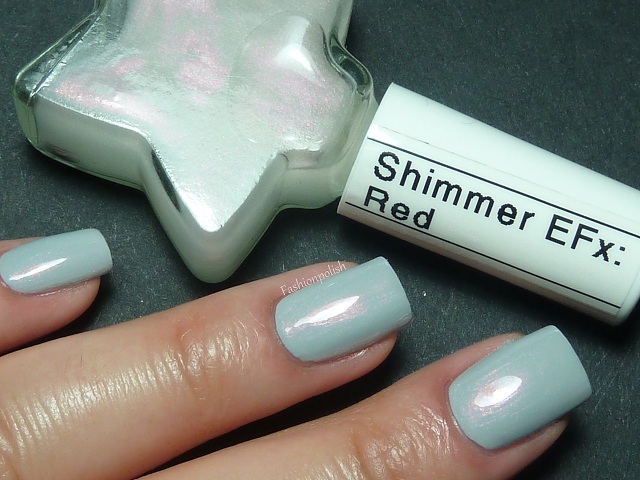 It's very pretty in the bottle but on the nail, it was love at first sight. And believe me, after all of the Deborah Lippman Happy Birthday dupes, I am difficult with rainbow glitters. This is one coat over black and it offers a very good "coverage". Such a cheerful glitter! LOVE. 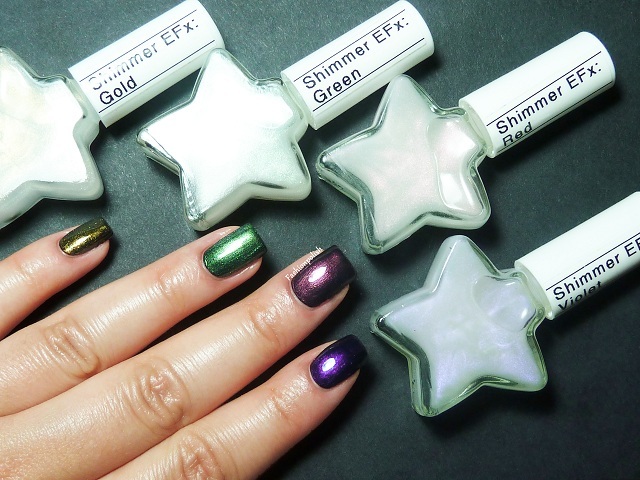 Shimmer EFx. This line comes in 5 shades : blue, gold, green, blue, red and violet. I tried the last 4. They are all very thin shimmer in a clear base, applied effortlessly and evenly. I decided to swatch them over a light grey but I also included a picture over black to show you how different they'll look depending on what you apply them over. I am really loving all of these frankens and I would have a hard time picking a favorite. Maybe Rainbow Sprinkles because it really stands out and looks so different from everything we've seen so far. 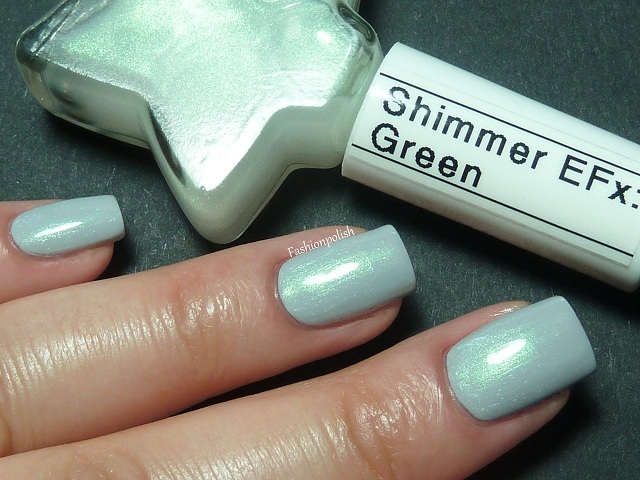 The Shimmers are also an amazing addition to the line, offering the possibility to completely change the look of your manicure. JENsations polishes are available on Jen's Etsy store and retail for $7.50/glitters and $6/shimmers. All 10mL and worldwide shipping available. I hope you didn't miss the usual swatches too much but I just couldn't figure out a way to hold the star shaped bottles without looking too awkward LOL. wow! Her polishes look great! I especially like the glitter polishes and the polish bottles do look simply adorable! Thanks for sharing the swatches! 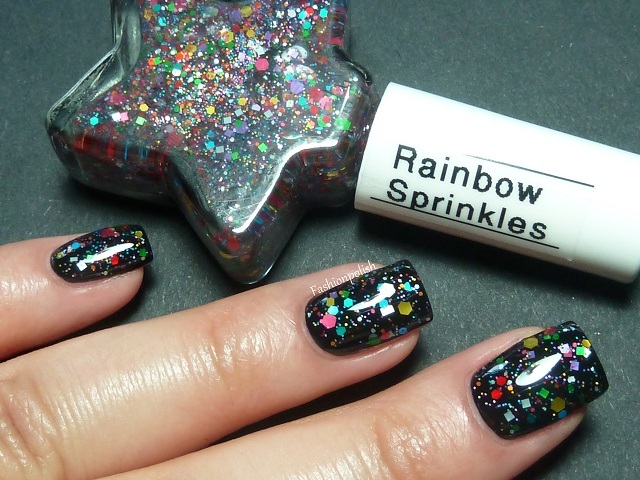 Rainbow sparkles has to be my favourite too, it just screams PARTY! to me. I like white out as well. Green Sprinkles reminds me of OPI's Rainbow Connection! The rest seems wierd for me, apart from the shimmers:) Where are they available ? Rainbow Sprinkles looks so pretty! Very colorful and it seems like you get a good amount of glitter in one coat! I'm getting really tired of people putting craft store glitter in clear polish and calling it an "Indie Brand." Thank you to the lovely Sam here at Fashion Polish for taking her time to swatch some of my creations <3 These & many more (over 30 other colors) creations are available here: http://www.etsy.com/shop/JENsations where I am constantly coming up with new colors! quando enjoar deles me manda um! These are cute but I do have kind of a quandry. 1 - the blatantly copied name of sticks n stones? 2 - there is actually a description of the glitter calling out the taco? are people just expecting that kind of lackluster quality in the products they make and buy now? all in all, the polishes look cute, but i dont like when dupes are named after the exact same thing they are duping, nor tacos in my glitter. i prefer those from taco bell. @Miss L thank you! I really love them too. @Choi It's so amazing in person! @Christine thank you! The shimmers are really nice. @Lindsey R yes, they're so cute. Thanks for the reviews! I love the bottles of these and the shimmers over the black is awesome. I'm sort of in love with Rainbow Sprinkles - such a party!